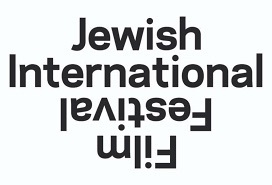 The Jewish International Film Festival (JIFF) is an exciting annual event that returns to Australia again this November. It is one of the oldest film festivals in Australia, running for an impressive 28 years. I spoke with Eddie Tamir last week. I was curious to know what are the important skills a festival director needs to have to continually run a successful film festival. Eddie told me that one needs to be tenacious in this industry. It is quite a challenge to combine art and commerce, to make money out of something that you love and continue to keep the passion alive. We have over 50 ethnic film festivals operating within Australia and competition is high. Content must be thought-provoking and leave an imprint. With 64 films in total, the JIFF program aims to showcase Jewish culture, history, humour, contemporary issues and national identity. Eddie Tamir says that he wants the audience to experience the world through a Jewish lens and to make this an authentic process. This festival is hugely popular with approximately 45000 admissions last year. JIFF is a substantial national event, running for three weeks across the Australian major cities including Melbourne, Sydney, Canberra, Brisbane and Perth. Blue Note Records: Beyond The Notes. - A must see for all Jazz lovers. Founded by German Jewish refugees in 1939, Blue Note Records gave voice to some of the greatest jazz legends of all time. I Do Not Care if We Go Down in History As Barbarians - Eddie describes this as an original tour de force film where a young activist artist reconstructs a ghastly massacre of Jews perpetrated by the Romanian Army in 1941. Holy Lands - This film is about a former Jewish cardiologist who decides to spend his retirement as a pig farmer in Nazareth. This move shocks his family and neighbours. Eddie describes this film as a broad comedy with human melodrama and plenty of slapstick humour. Gilbert - A film about the legendary Jewish comedian, Gilbert Gottfried. Eddie describes this film as "an edgy in your face, joyous celebration." Flicking through the program, each film addresses a different theme and makes me curious to want to see them all. Take a look for yourself. Cost: Adult $21.50 / Concession $18.50 | Under 30? Get $15 tickets at the box office on presentation of a valid ID.